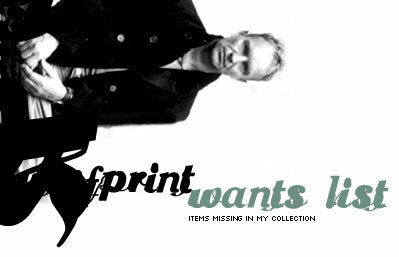 Here comes the list of items missing in my collection, and that I really want to have. Do not hesitate to write me if you could help me. Danemark without PS promo, 16 tracks list, with Universal generic sleeve, with sticker of info. Japan S12Y3025 Snap pack promo 3"
-- UK without MC promo MC, A&M generic inlay, features tracks of MC and 2 UK CD issues.